Heydalur is a hotel and a restaurant in uniquely beautiful surroundings on the bay Mjoifjordur. Reykjanes is rather a narrow spit of land on which travellers are accommodated in a earlier boarding school hotel with a swimming pool (natural hot springs). Good salmon rivers are in the area, and there are quite a few trout or char lakes to choose from. Hiking in this beautiful area is very impressive and an inspection of the coastline is also an inspiring option. 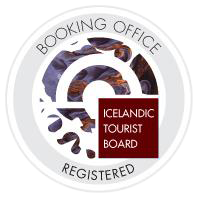 Heydalur and Reykjanes are open all year round. 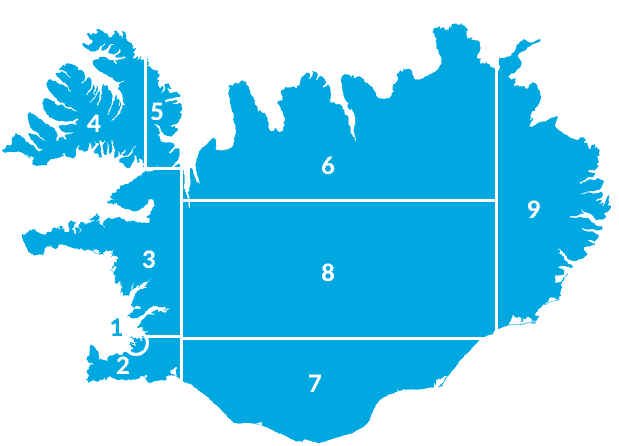 Vigur is the second largest island of the Isafjordur Bay. It is about 2 km long and 400 m wide. The family inhabiting the island bases its livelihood mainly on tourism, collection of eggs and eiderdown, the puffin hunting. When farming was the most important means of income, the sheep were ferried to the mainland to the summer pastures not to disturb the precious eider ducks during the nesting period. The island contains a large colony of the arctic tern and a myriad of puffins, which have been exploited there for centuries. The only surviving windmill of the country is maintained there, close to 160 years old. The distance from the capital by the Whale Bay tunnel is 320 km.